At True Corset we are not only passionate about corsets, we know everything there is to know about corsetry- yep, we’re masters of string theory, as well as eyelet theory, material theory, and getting-the-perfect-shape-and-design-for-our-clients (the lesser known Nobel Prize category). We’re a tight-knit team (although with enough comfortable breathing space, obviously) who have spent the whole of our adult lives committed to the art and practice of what makes a sublime corset. Having been instrumental in the corset revival of the 1990s, we’ve lead the way ever since, although we don’t like to blow our own trumpet (much!). Because we’re the go-to corset company, we’ve been able to add to our extensive knowledge, that’s rivalled only by our extensive wardrobes. Working with a multitude of designers, brands, and manufacturers across the ever-changing alternative and mainstream fashion scenes, we’re the only place that truly understands the different terminologies used, the different craft skills needed, the different ways a woman can put on a corset for the same result: ‘Wow’! We understand the complexities our customers face, and know that it can be hard finding your fantastic- whether you’re slimmer or curvier, taller or shorter, older or younger, society tells us there’s a perfect woman- and it never seems to be you! At True Corset we thoroughly disagree; every single one of you is the perfect you, and we can help make you feel that’s true. Using our decades of experience in the industry, we know that not only is there a vast difference in what each woman needs and wants, but also a vast difference in how the industry interprets this. 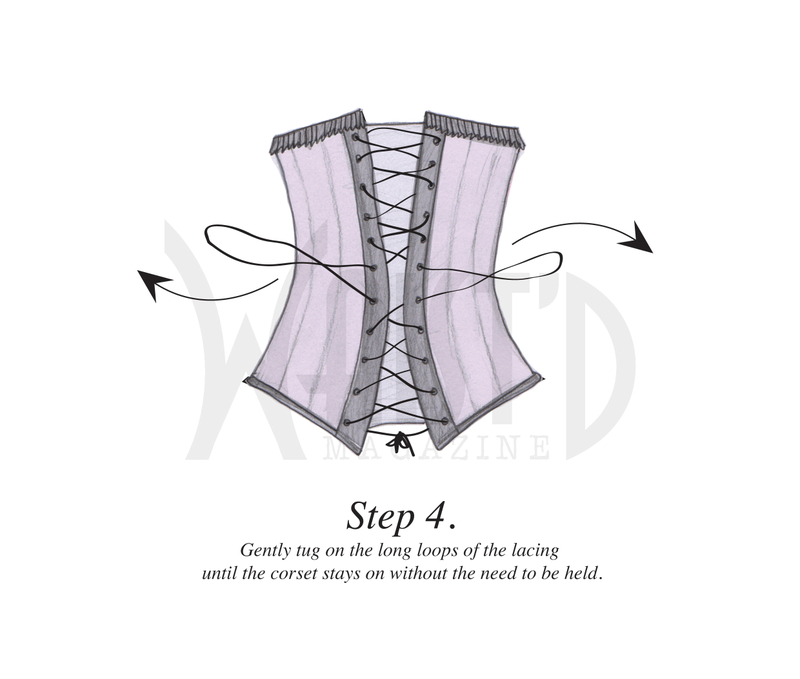 At True Corset, and in this here guide, we’ll help you get the best out of your corset. We’ve brought together all the differing ideas and concepts we’ve encountered over the years about varying shapes, fits, and styles that manufacturers use and translated them into corsets that can be crafted by one corsetiere from start to finish, so you get an expertly-made coherent piece, and we get to do our high-five dance. As our company has progressed to direct online sales, our knowledge and passion have grown even stronger. We know exactly what each corset is capable of and which body shapes they suit. We know that our customers are capable of great things beyond even looking and feeling great, and we’ll do our darndest to get you the corset that makes you feel ready to take on the world, however and wherever you want to wear it. 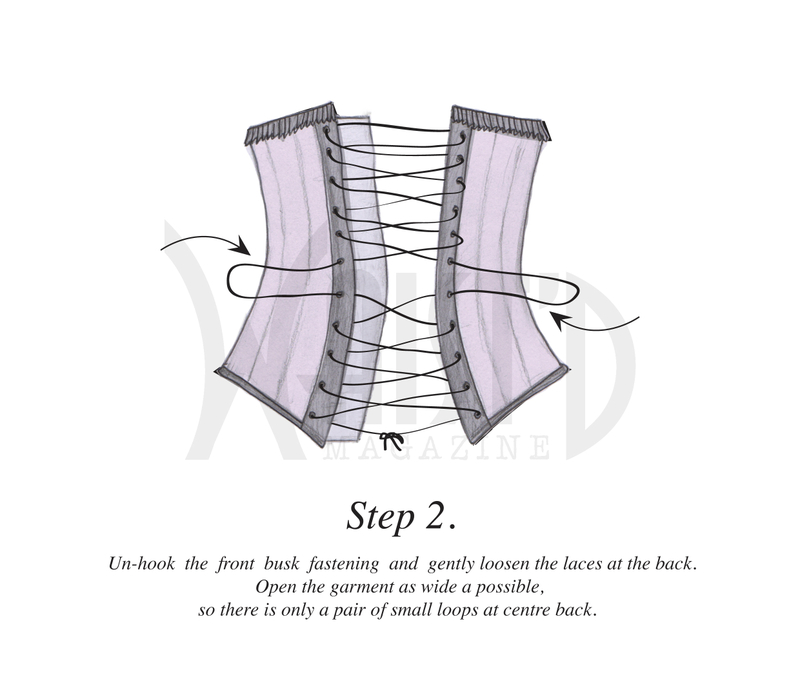 We understand that the world of corsetry can be overwhelming and so we’ve combined the best of the science and creativity in the industry to make this simple demystifying guide. Is it for you? Of corset is! The pronounced hourglass figure: The pronounced hourglass shape makes the wearer's waist look tiny, it is highly coveted and quite rare. This is for girls who want a difference between their waist and hips of more than 14”. Only corsets designed with built in curves can help achieve this dramatic figure. A helpful video showing how you can put on your corset without anyone else's help. Here is a video that shows you how you can hide the excess lacing as step 7 shows above. 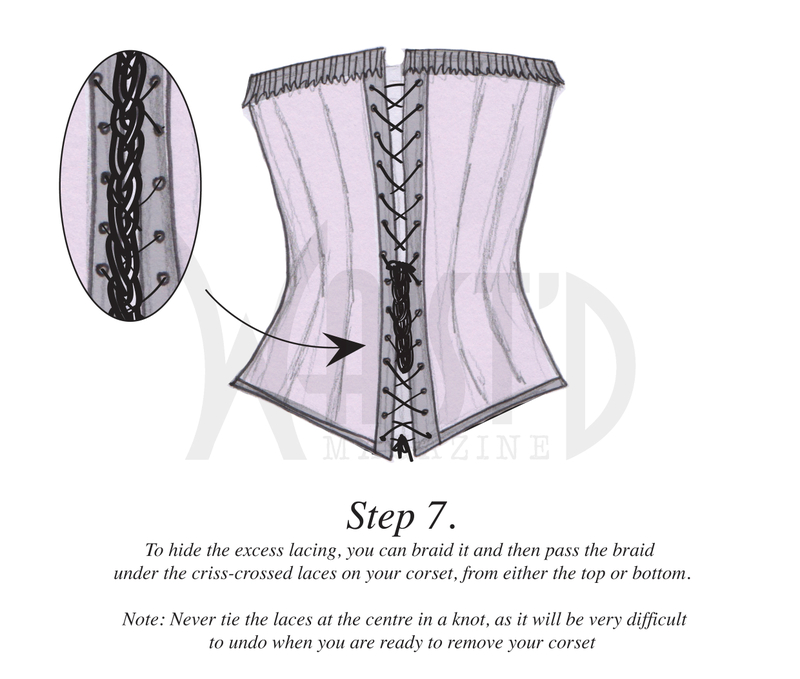 Should you need any help with this, just drop us an e-mail on cs@truecorset.com, our devoted team know everything there is to know about corsets and will be delighted to help. Helping our customers to find the perfect corset for their needs is something that we pride ourselves on. This is a video on how to hide your excess laces and explains step 7 in detail. Stealthing is the art of wearing a corset beneath your clothes without other people knowing you’re wearing a corset, this video will explain more!